This book is set in a remote army outpost in Afghanistan. Six main characters tell the story. Each one has a different perspective and a different experience of the war, and these arise from very different lives, education, personalities, and thoughts. So the scenery before us is not just desert storms and murderous ambush but also clear skies, cosy families, and the life of the mind – on another continent far away. A woman stands outside the garrison, pleading that the body of her brother be given to her so that she can give it a decent burial. Is she really a woman? Could she really be a cripple, and have dragged herself for miles to come here for her brother’s body? But the body is to be flown to Kandahar. Was he really a Talib – or a Mujahid freedom fighter as she says? Should the body be given to her? Young men - very young indeed - are making decisions of great consequence. Should they be guided by their feelings, or by the rules? Is there really any such thing as ‘right’ – or ‘wrong’? Like any Greek tragedy, this book is strewn with love, longing, loss, beautiful music – and an inevitable conclusion. 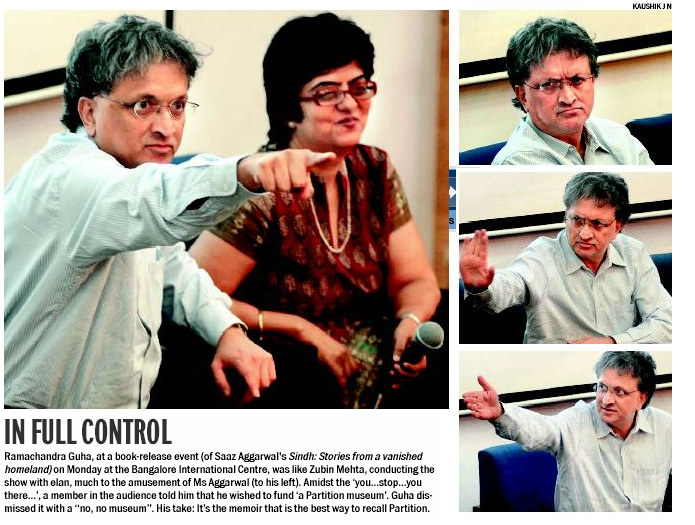 Joydeep Roy-Bhattacharya is not just a novelist who knows how to grip the reader – he’s also an anthropologist. 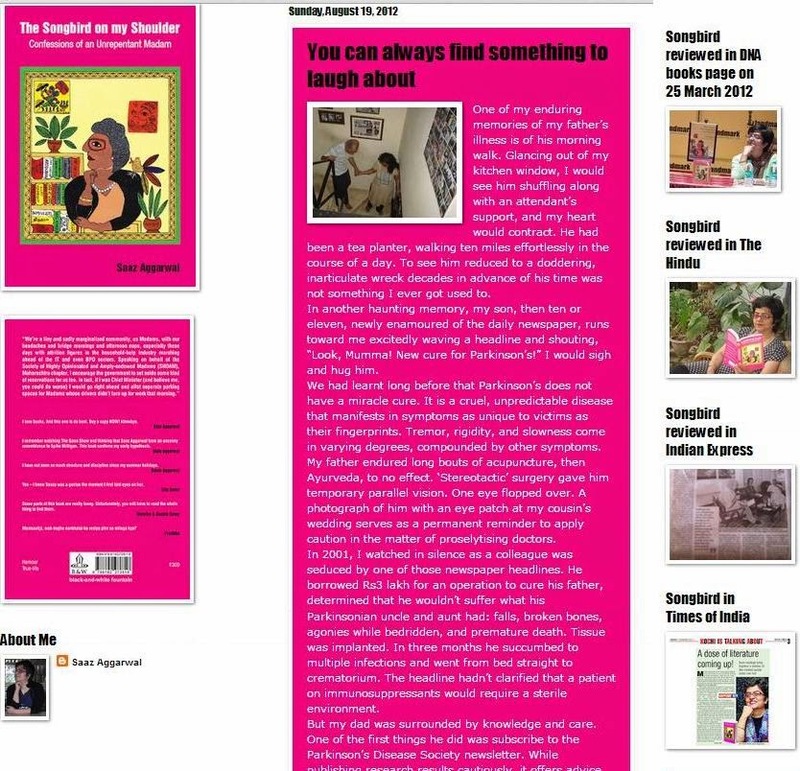 He depicts living cultures, and lays them side by side for the reader to compare and admire. He makes us wish, even while showing us that it’s impossible, for a happy ending. 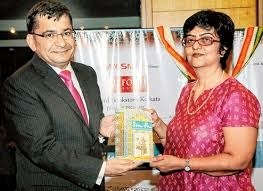 Some weeks ago, Vrunda Juwale called from Sakal Times and asked me to write about the book I was reading at the time. 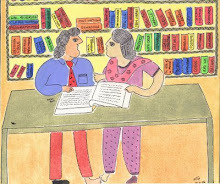 You can read the article by clicking this: The Happiness of Discovering a Literary Gem. It took me a while to finish the book since I was reading it aloud to my friend Gladys, a two-hour weekly routine on Tuesday mornings. Both of us enjoyed it and the very realistic insider’s view it gave of a world remote from us. 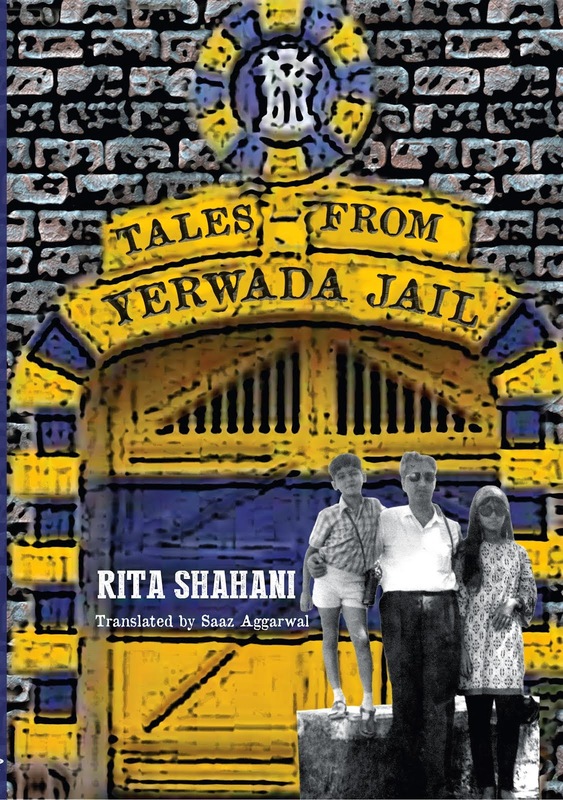 Of all its characters the one I found most intriguing was Murli Compounder – once a village boy like Ramu Hajjam’s son Pawan. By a combination of luck, hard work and personal initiative, he rises to a position of security and prominence few villagers have the opportunity to create for themselves. 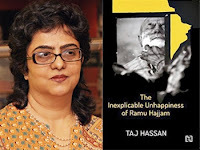 From the acknowledgements at the end of the book we learnt that Ramu Hajjam is a real person Taj Hassan once met, and that the symbolic dreams he has, well told and evocative, are derived from the Jatakas. When writing the Sakal Times piece I had been nervous about praising it so much because I hadn’t finished reading it yet but luckily it ended well too – a sad, inevitable end but with the same even pace and simple but powerful language it uses right through. I enjoyed The Inexplicable Unhappiness of Ramu Hajjam so much that I bought copies to give away, including one for my thirteen-year-old nephew who reads and knows quite a lot but lives in the UK and is unlikely to visit an Indian village. Before I started writing this blog post, I did a google search on Taj Hassan and was disappointed to find the top three links were to three different Taj Hassans on facebook. There was not a single mainstream review of this book. Why is this wonderful writer unknown? Is this very special book going to sink without a trace? I hope not. I did learn from the publisher’s website that Taj Hassan is in the IPS and is presently Joint Commissioner Security, and that he has served in the north-east and has won the president's medal for gallantry. 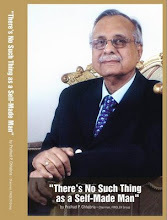 This book brings together two of the most deified people in the world, Mohandas Gandhi and Mohammed Ali Jinnah. Various aspects of the two have been compared, from the most obvious such as their appearance, personal habits, popularity, and leadership techniques, to the consequences of their thoughts and actions and how they shaped the countries which revere them as ‘father’. We learn (unexpectedly) that the two did indeed have something in common. Ah – of course. Each created his own political world: "Jinnah shaped and mobilized the Muslim community into a new political entity, and Gandhi virtually invented mass politics in India." It's also true that both men died, unhappy, very soon after their countries were born. But their differences, as we know, were many more. These are neatly drawn out here, with the events and climate of the Indian freedom movement as their backdrop. A book like this can be controversial, and could even make people (who love these ‘fathers’) passionately angry and do crazy things. It has happened before. So how will we react to hear about Jinnah’s secretive nature, or Gandhi’s peculiar habits? Or to be reminded that Gopal Krishna Gokhale had once praised Jinnah highly, and famously dubbed him, “the best ambassador for Hindu-Muslim unity”? That his first visit to the Punjab in 1936 had been a horrible PR disaster? 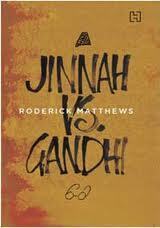 But Roderick Matthews has a quite pleasant way of presenting the facts, unbiased and non-judgemental; and with an unmistakable affection and regard for Gandhi, and respect for Jinnah’s intellect. While he says Gandhi really was a visionary he also says, “The case for Jinnah as a visionary is not strong. If he was a visionary then he was unique in never setting forth or writing down that vision.” On the other hand, Jinnah’s staunch common sense apparently prevented him from being impressed with Gandhi’s methods: he saw no benefit in Indians denying themselves education, and he saw only suffering in the spectacle of poor people burning cheap foreign garments when they were barely able to clothe themselves. The whole incident was not a clash of titans, but a commonplace outing in polite society. Reading manipulative psychology, power politics, and the destiny of nations in to the affair is uncalled for. Stanley Wolpert is tempted to foresee the rest of the Partition story in the encounter, detecting an early crackling of tension between the two men, a recognition that they were ‘natural enemies’. He also describes Gandhi’s reference to Jinnahs’ ‘minority identity’ in public as ‘a barb’ meaning that it was designed to wound. This is unwarranted. How calling attention to Jinnah’s religion would have helped Gandhi is not clear, nor is it obvious why Gandhi would think it worth any effort to point out to an audience of Bombayites that a man named Mohammed Ali, who was a prominent member of the Muslim League, was a Muslim. The real story was surely much simpler. There was a friendly reception given for Gandhi and his wife that passed off well. Gandhi was pleased to speak to an audience of Gujaratis in his native land in his native tongue. Everyone was polite to each other and Gandhi took an early step in the promotion of one of his long-term concerns – the use of vernaculars. He was duly welcomed, and the local Bombayites met the celebrity. Nothing was achieved, nothing was decided; everyone went home happy. This book has stories, information about the festival of Eid, and ‘fun activities’ – things to make and do – for children. 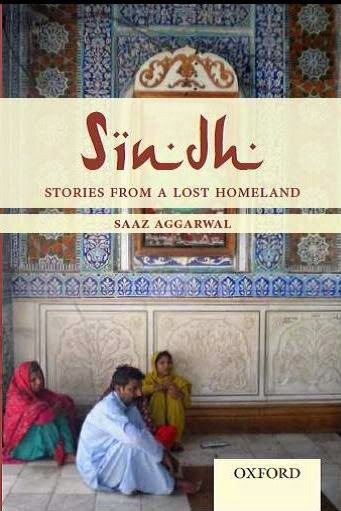 The seven short stories present a range of events, situations, and feelings related to Eid. In one, a boarding school boy finds himself running an important race during Ramzan without any sehri. Another child confronts his fear of Mathematics with the help of a little fish, and his festival day turns out to be special in different ways. 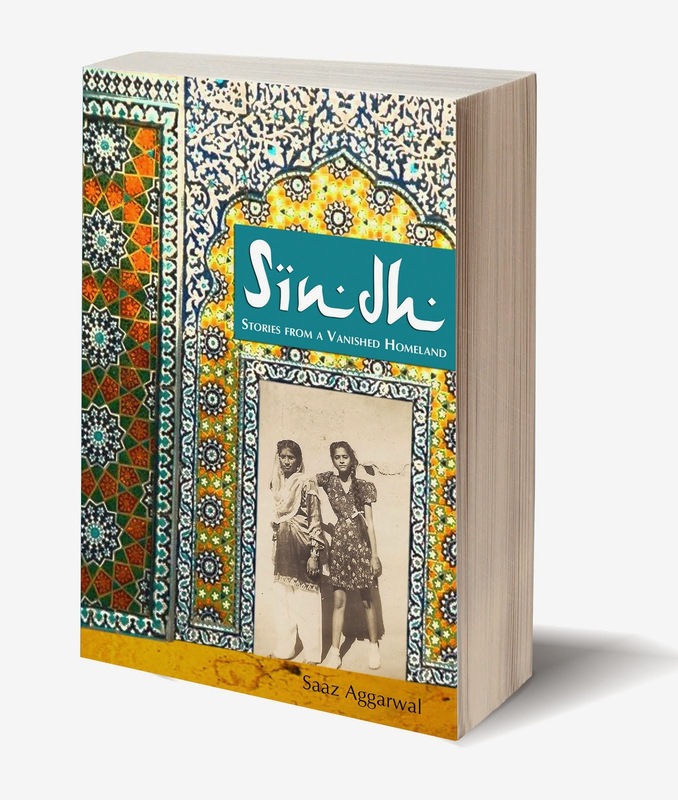 One story deals with a religious riot, and another with the separation of families and loss of loved ones at Partition. In the story I enjoyed most, Letters to Abba by Anu Kumar, a young girl writes to her father in a remote border outpost. These simple and affectionate letters weave in complex emotions and insights of imminent adulthood. The factual information, written by Sulaiman Ahmad, is broken down into six sections which give the significance of the festival, what makes the moon important, and the rituals and practices of Eid. There is also information about the minor differences in the way Eid is celebrated in India, in contrast to other countries. This book is well written and easy to read – though there are parts that are more formal than others, and this could have been evened out. 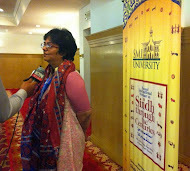 Between the stories and essays, the feeling of Ramzan is skilfully depicted: its focus on virtue and abstinence, the importance of sharing with those less fortunate than one, and the rising anticipation which culminates in the joyous celebration of Eid. This graphic biography offers incidents in the life of Bhimrao Ramji Ambedkar. The story is by Srividya Natarajan and S.Anand, and the art by Durgabai Vyam and Subhash Vyam. I pounced on it, attracted as much by the beautiful cover as its theme. 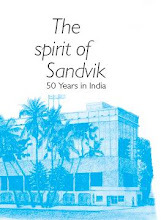 The incidents described in this book are ones specific to Ambedkar’s experiences of rejection and humiliation because he was 'Untouchable', and his subsequent work in developing awareness among others of the community. The historic march on Chavadar tank in 1927 in Mahad, for instance, was a peaceful move in which Ambedkar led three thousand Dalits from nearby villages to drink water from the village tank, a full four years after the Bombay Legislative Council decreed that Untouchables should be allowed to use all public water bodies, wells, roads, and schools built and run with public funds. Why is this event not taught as part of history in schools; why is it not a part of public memory? I only knew of it from Narendra Jadhav’s poignant memoir about his parents, Outcaste. But I had no idea that Ambedkar had faced terrible discrimination not just from upper-caste Hindus but from other communities too – even Parsis! It didn’t matter that he had studied and practiced law in England, and had returned to India after earning a doctorate after four years in Columbia University. He was from an Untouchable family, so was prevented from drinking water (else it would be polluted for other castes), and could not find a place to live in because no one wanted him anywhere near. 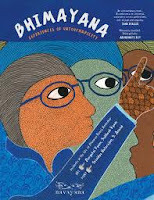 This book also uses newspaper clippings from recent times to show that though urban middle-class Indians might imagine caste discrimination to be a thing of ancient history – it is still very much a part of life in India. With such an emotional subject, it’s not easy to present facts in an objective way and I admire the way this book does so. However, though I loved the quality of its art I found it a bit too lavish. This made it difficult for me to just look at a page and admire its beauty; instead I found myself making an effort to look closely at the details.